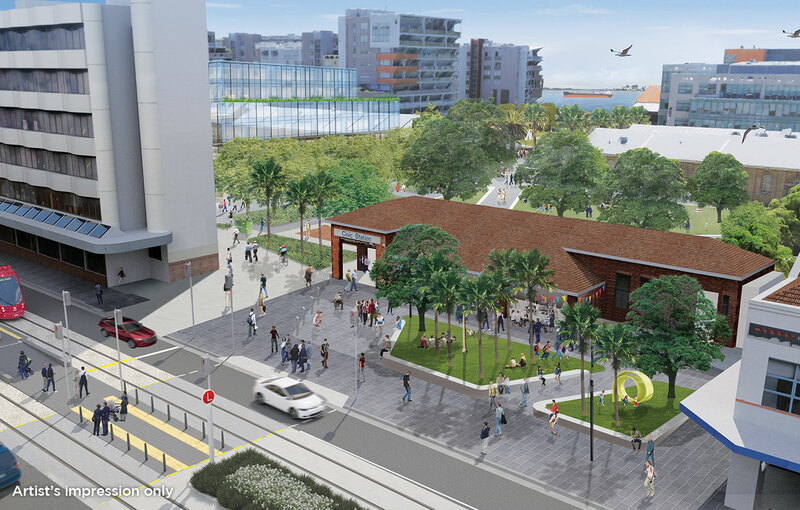 The former Civic Station precinct will be transformed into a vibrant public space in 2019. Renamed 'Museum Place', the precinct upgrades include renovations to the existing station building, greater pedestrian access between the city and the waterfront, as well as the creation of paved and green spaces in the surrounding parks. Museum Place will become a new pedestrian hub for people to access local businesses, the University of Newcastle, Honeysuckle and Newcastle Museum - all a few metres from the Civic light rail stop. The former station building will be renovated and repaired, creating a new space for business tenants. Key wall sections and the pedestrian footbridge will be removed, making it even easier to walk from Hunter Street through to the Honeysuckle precinct. As well as a facelift for the station building, new family-friendly areas will be introduced in the surround parks to relax and play. 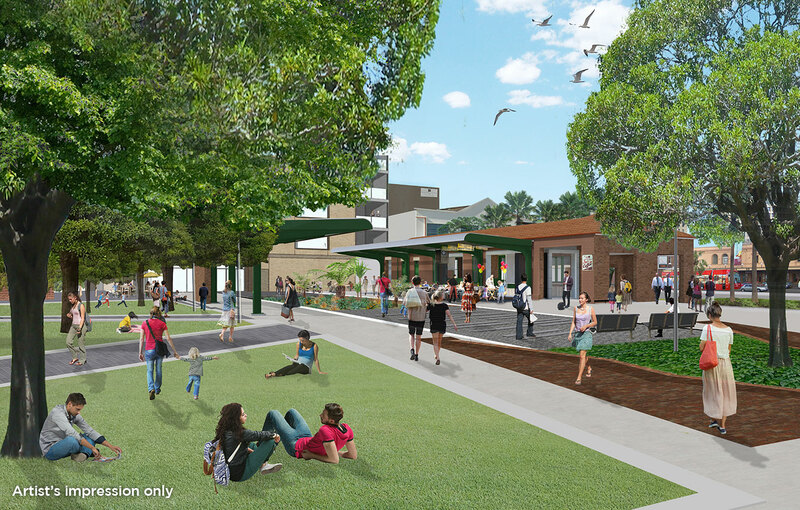 The Hunter Street forecourt, Brake Block Park and park adjacent to the museum will receive new landscaping, trees, gardens, paved walkways, seating and lighting. This work follows extensive consultation with the community and the NSW Office of Environment & Heritage to ensure that designs retained the character and uniqueness of the station.